Since the ninth century AD onwards most countries in which Islamic culture predominates have had a tradition of producing and using tiles for the decoration of important buildings like mosques, palaces, religious colleges, holy shrines and graves. Islamic tiles are found over a wide geographical region covering most of the Middle East, parts of Asia, North Africa and Southern Spain. The religion of Islam was revealed to the world by the Prophet Muhammad in the early seventh century. Two of the most holy places of Islam are the cities of Medina and Mecca where the Ka‘ba is located, a cubic stone structure which Muslims believe was first built by Adam and then rebuilt by Abraham and his son Ismail, both revered patriarchal figures. Jerusalem is the third most important city for Islam as it is the site of the Dome of the Rock built in 688- 691CE. The building is not a mosque but a shrine for pilgrims built over a sacred stone believed to be the place from which Prophet Muhammad ascended into heaven. 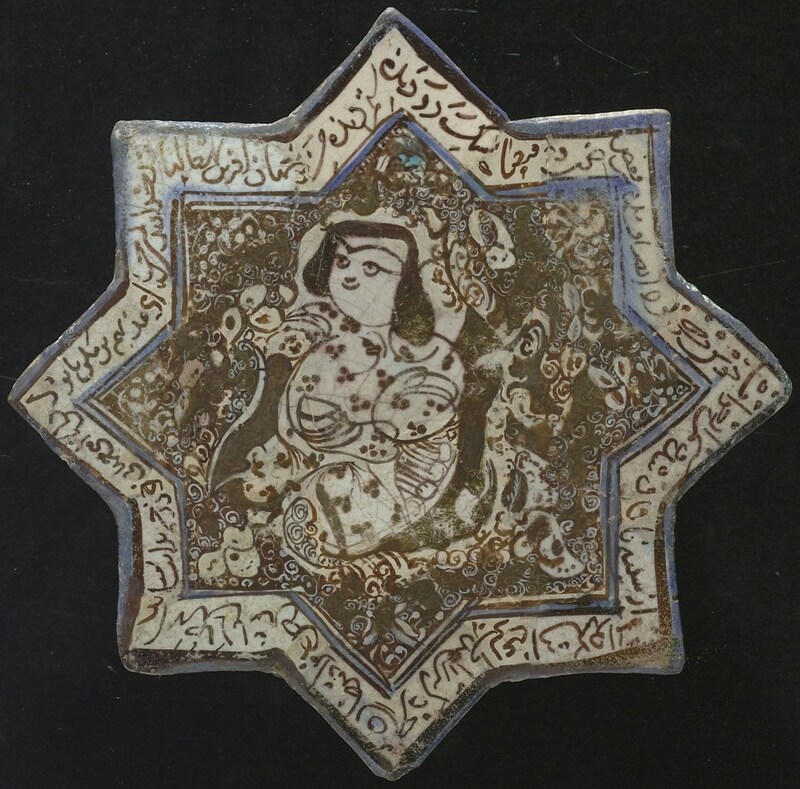 The basic production unit of the Islamic pottery and tile industry was the small family operated workshop usually located in an area where the necessary raw materials for their craft and a viable market for their ceramic products were available. Small family workshops would often band together in or near a town and form a ‘nucleated’ industry sharing natural resources, and benefitting from mutual co-operation as well as a healthy level of competition. In these workshops, techniques and trade secrets were passed down from father to son and as such it ensured technological continuity. Family potters placed high value on strict adherence to the hierarchy of skills and established techniques and designs and this may also explain the inherent conservatism of Islamic pottery and tile manufacture as family potteries were inclined to resist change once proven and successful methods of production and design had been established. When change and disruption did come it was often the result of war and conquest when potters were carried off as part of the spoils of war and were forced to work for new masters, or decided to move to other safer places where there was a market for their trade. 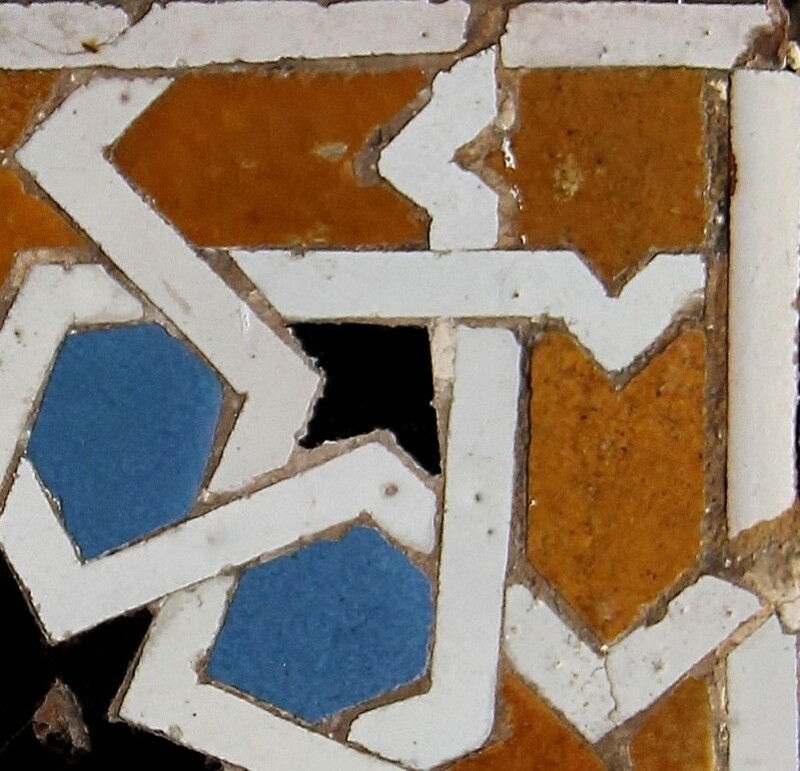 Islamic potters created four main tile decoration techniques; lustre decoration, tile mosaic, cuerda-seca, and under-glaze painting which, combined with the use of elaborate abstract and stylised design motifs and the lavish use of tiles in all kinds of buildings, have made Islamic tiles some of the most significant and inspirational in the history of tiles. Some techniques like lustre and under-glaze painting were used for both the production of pottery and tiles, while tile mosaic and cuerda-seca were techniques developed specifically in relation to tile decoration. 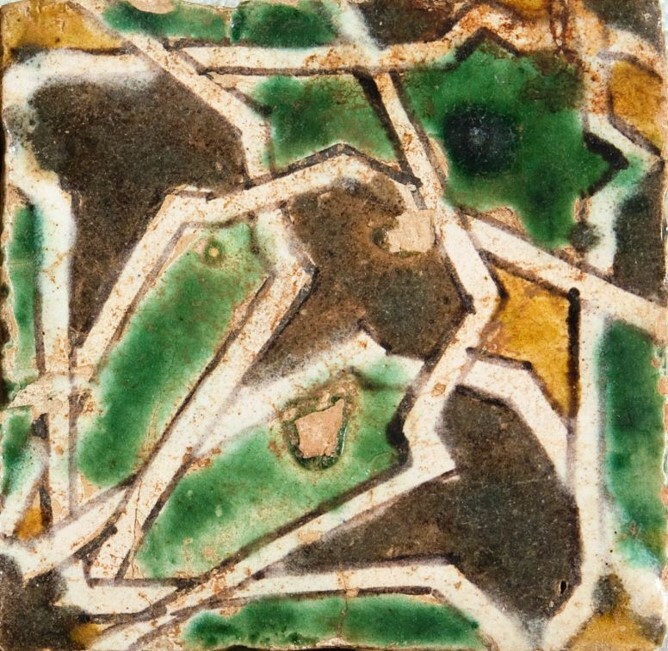 Cuerda seca tile, late 15th century. 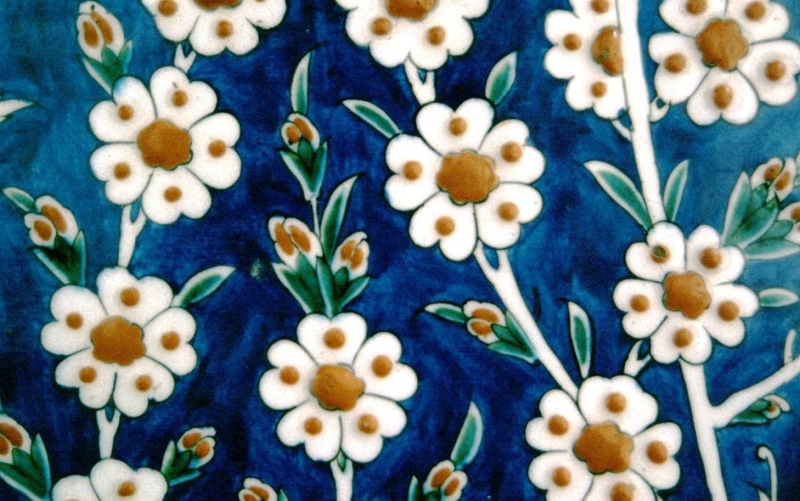 Under-glaze painted Turkish tile, 18th century. 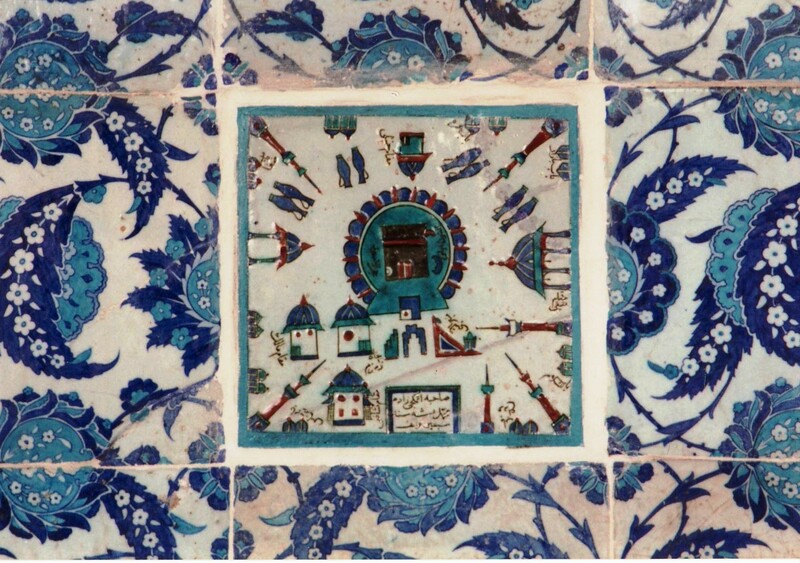 Under-glaze painted Turkish tiles, mid 16th century. The central tile shows the Ka’ba in Mecca. 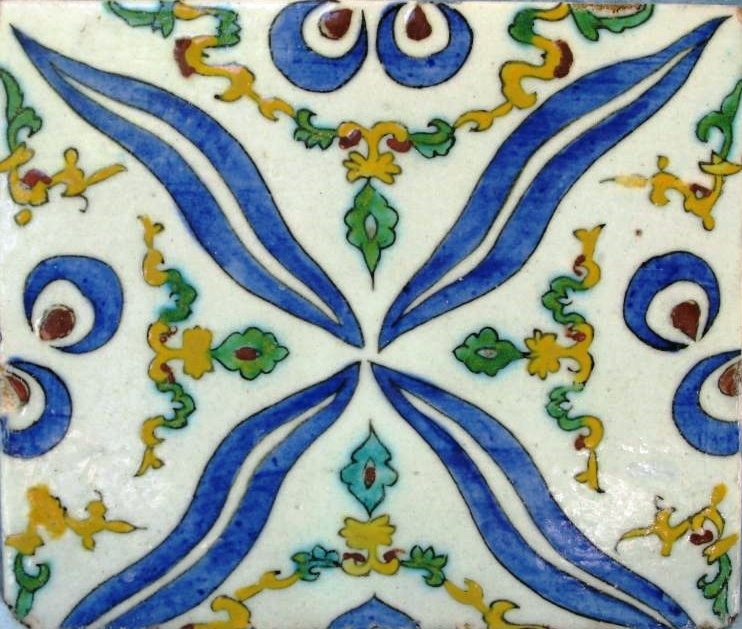 Under-glaze painted Turkish tile, late 16th century.